The Bologna Committee of the Italian Red Cross had its headquarters from 1931 to 1958 in this house of Bologna (via San Petronio Vecchio, 30)1. 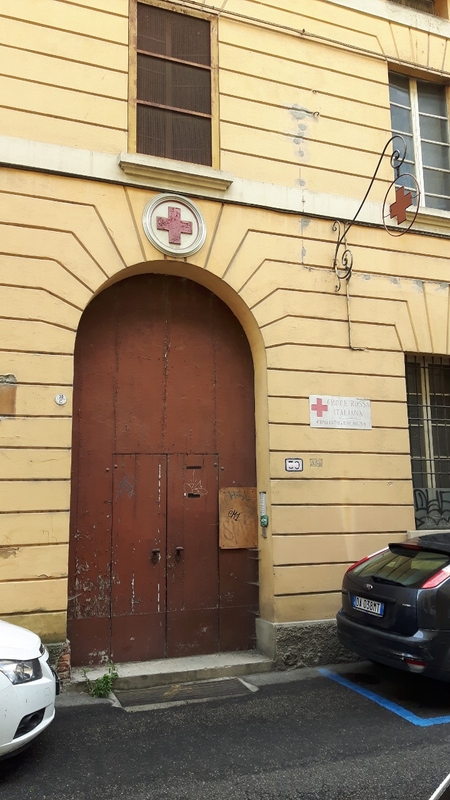 The organization's symbols are still visible. 1. 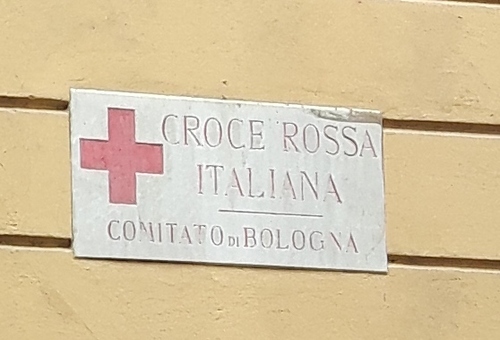 See Croce rossa italiana - CRI. 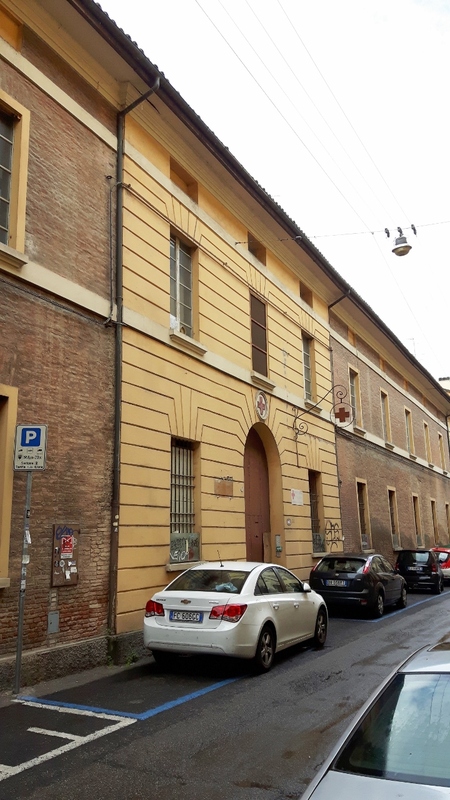 Comitato provinciale di Bologna.